Sometimes excellent Reaktor builders pop out of nowhere, and post one or more terrific ensembles to the user library and all we can do is gasp, download and appreciate! Here are three new ensembles by user Ward de Jager. 4 taps, 2 lines, 1 earth is a modulated multitap delay effect that does everything from pitch shifting and dubby delays to flange and chorus. It’s nice looking and nice sounding, and will be providing competition in my plugin folder to Fabfilter Timeless 2. Some of the pitch shift presets remind me of Blackbird, another user library goodie you should check out if you haven’t already. Cheby Shaper is a waveshaping effect that implements the Chebyshev polynomials. Translation for the non mathematically inclined: it f*cks up your sound nicely. 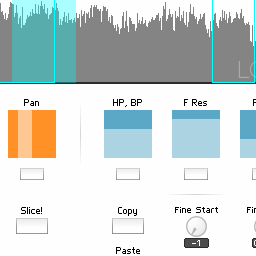 A harmonic editor lets you drag the mouse to fine tune the sound. Finally, and this may be my favorite, a Modal Bank ensemble. The Modal Bank is a module that lets you do physical modeling in Reaktor – exciting a bank of harmonic overtones with an “exciter” signal. It’s easy to get percussive, chiming, bowed and blown effects with this technique. 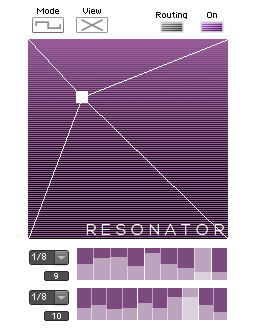 There’s a tutorial ensemble that ships with Reaktor 5 demonstrating the module, but this one is much nicer. There’s only one snapshot here but new snaps are a breeze to create. Set the parameters of the partials, then set the attack, decay and noise cut off to choose how the “exciter” will sound. Finally, adjust the damping, which will determine how long the overall sound rings on. Salamanderanagram over at nireaktor.com has a really good tutorial on the Modal Bank you should check out to learn more. Download all three of these ensembles here. This entry was posted in download, Free Reaktor Ensembles and tagged Chebyshev, delay, Modal Bank, Physical Modeling, tutorial, User Library, Ward de Jager on February 28, 2014 by peterdines. 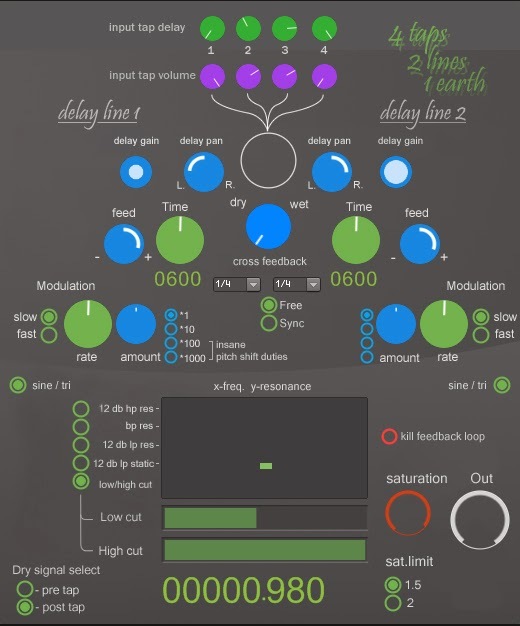 Boscomac introduces Bit Torsion for Reaktor – free download! Boscomac is back with a great new effect, Bit Torsion. Then BIT TORSION can animate some of its settings ( to the left ) by a random behavior. You can bind a parameter to a sequence ( by activating the small arrow ) and choose the direction (positive or negative ) of its modulation. Then you can fix the length of the sequence, and finally control the rate of variation, emptying or filling each random data sequence. It may seem complicated but in reality it is really easy and so much fun ! 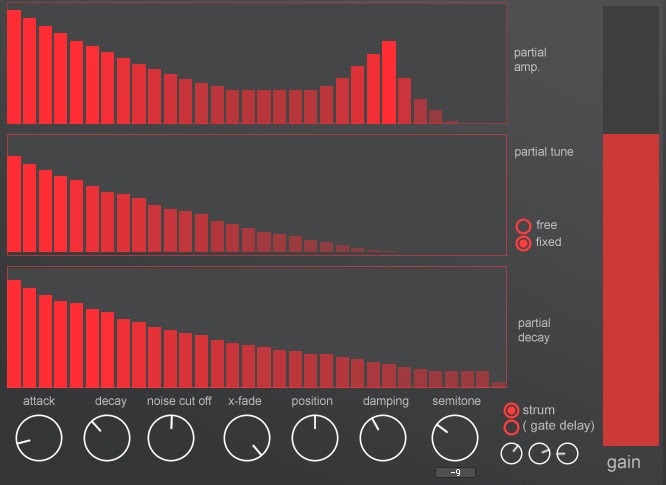 Boscomac’s effects are always worth checking out – and try chaining them! I can see this one working great with Stellar. Then again, everything works great with Stellar. Listen to the demos, gawp at the lovely GUI, then Download – and if you like it – and you will – leave a donation. This entry was posted in Free Reaktor Ensemble and tagged bitcrush, boscomac, distortion, effect on February 28, 2014 by peterdines. Here’s something that people have been asking for about as long as I’ve been using Reaktor – so about ten years, then! 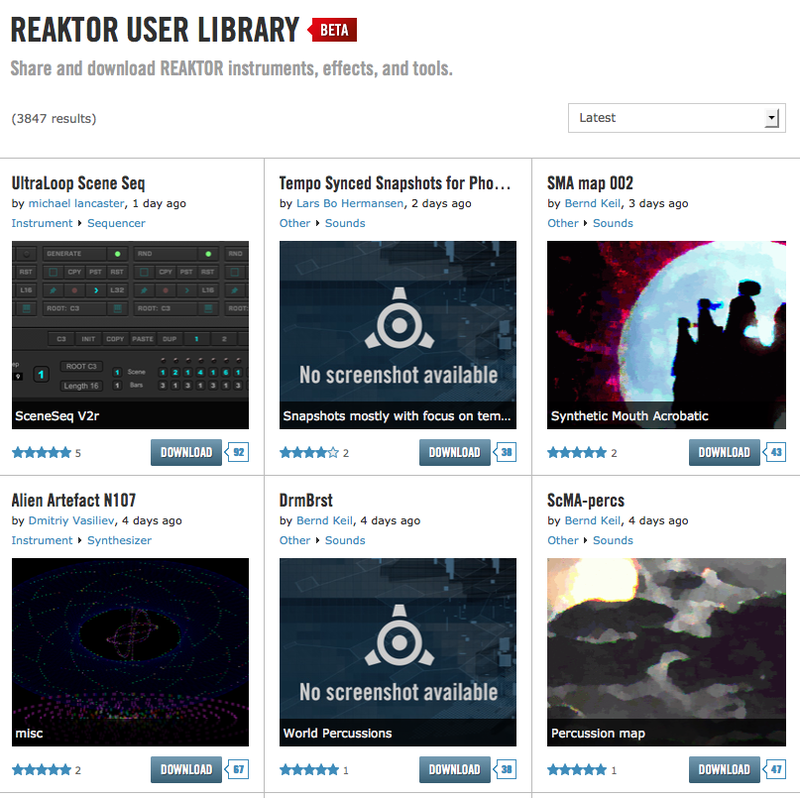 – an update to the user library. Some cursory testing on my part confirms that it’s able to sort user uploads by category, rating, etc. 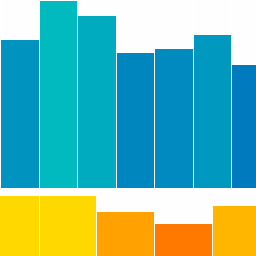 better than ever – a new algorithm scores the uploads based solely on user voting, rather than figuring in the number of downloads. More about that here. I’m pretty excited about this – it’s time to go mining, because those hidden gems will be easier to find than ever. This entry was posted in download, Ensemble and tagged instrument, reaktor, User Library on February 19, 2014 by peterdines. 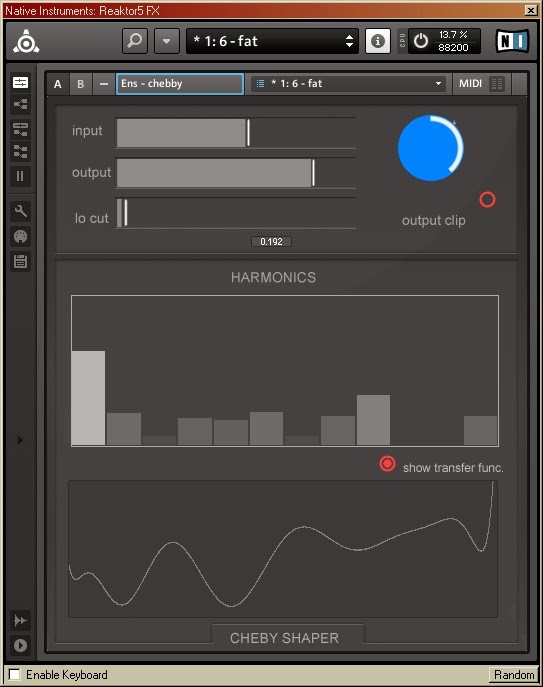 Over on the Reaktor G+ group, Marque Etienne has posted a video demo of a simple but fun theremin ensemble. I’m a sucker for Reaktor ensembles that make noise and sound effects rather than having a more traditional musical goal. Each one is unique, offering different possibilities and something of the character of the builder. Freestyle, baby. On this particular unit, the granular delay with a pitch control adds a nice touch – the fed-back echoes can go up or down in pitch as they repeat. It’s an easy to understand .ens under the hood and you ought to be able to modify it easily, and add your own embellishments. Marque says a Lemur template is in progress, and you’ll find OSC terminals in the ensemble waiting for input. You can download Spacer here. This entry was posted in free download and tagged Marque Etienne, Noisemaker, reaktor ensemble, Spacer, theremin on February 11, 2014 by peterdines.